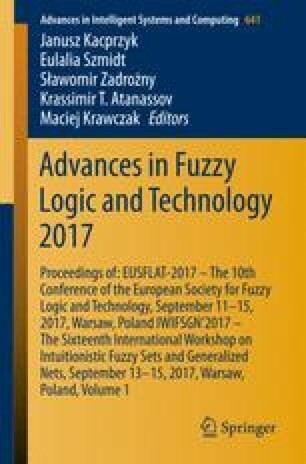 The main aim of this contribution is to develop a co-words analysis of the Fuzzy Decision Making research area in the last ten years (2007–2016). The software tool SciMAT is employed using an approach that allows us to uncover the main research themes and analyze them according to their performance measures (qualitative and quantitative). Using an advance query, an amount of 1,465 documents were retrieved from the ISI Web of Science. The corpus was divided into two consecutive periods (2007–2011 and 2012–2016). Our key findings are that the most important research themes in the first and second period was Consensus and Aggregation-Operators, respectively. The authors would like to acknowledge FEDER funds under grants TIN2013-40658-P and TIN2016-75850-R, and also the financial support from the University of Cádiz Project PR2016-067.